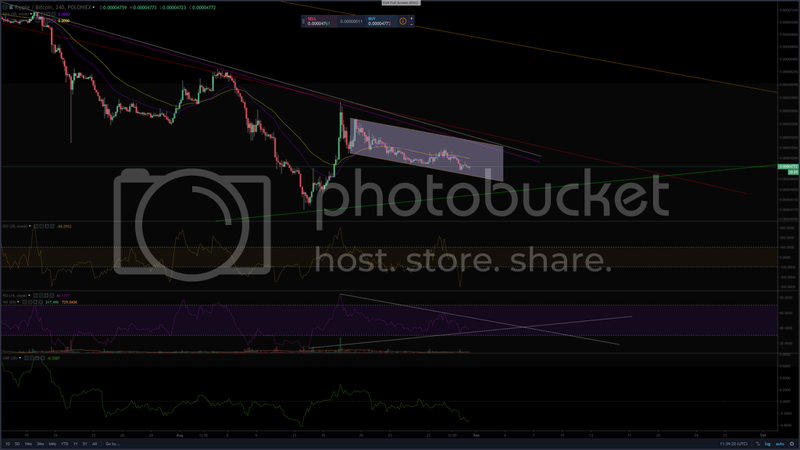 The XRP/BTC pair, after a brief move up on August 17, has been staying near the bottom of the descending channel. As stated in our previous analysis the pair still remains fairly strong but this is reliant upon BTC's strength. Looking at the RSI indicator we can see that it is in a symmetrical triangle. The support line of this indicator is important as a fall below this will likely sink XRP below our previously stated stop-loss of 4700 sats. Traders who took a 50% position on the previous recommendation should maintain the 4700 stop-loss and only add to their position if the pair breaks above 5100 sats. The XRP/USDT is looking quite different from the BTC pair and has been maintaining near the top of the large falling wedge. During the last BTC drop the XRP bulls were able to defend the $0.32 successfully. The bears will be looking to defend the $0.34 resistance to attempt to break XRP back to the bottom of the falling wedge. 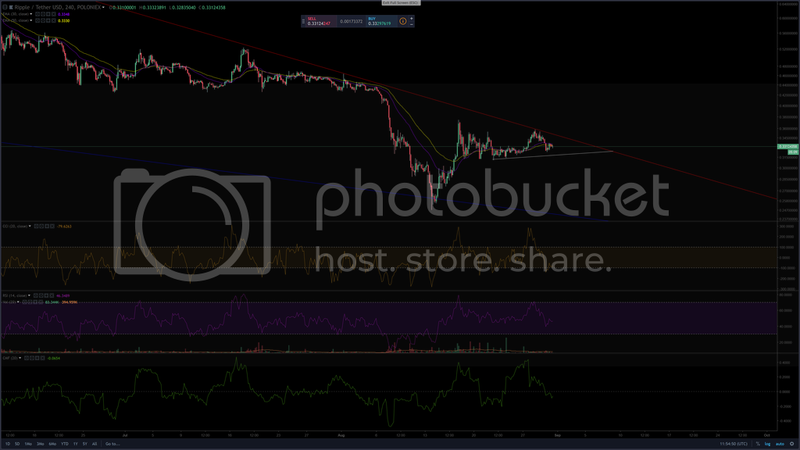 With XRP so close to a key resistance line traders looking to enter new positions should wait for a break above the $0.34 resistance, or either a pullback toward the support line of the falling wedge. A failure to move above this resistance could see XRP pullback to the previous strong support level of $0.24.